Do Windshield Chip Repair Kits Actually Work? There you are, driving westbound on I-70, passing the familiar sign for WinterStone Golf on your way to Kansas City. Pink Floyd fills the cabin as you delicately sip that scalding mug o’ joe. Then — wham! — the truck in front of you kicks a pebble into your windshield, leaving a gnarly chip right in your line of sight. In most instances, those kinds of windshield chips only affect the surface, rarely causing damage to the internal layer of tempered glass. This type of damage is frequently correctable by your standard DIY windshield repair kit. Hooray! But we don’t all get to live in a “most instances” world—sometimes we must survive in a “why me?” world, which means your windshield damage could be unfixable by amateur hands. 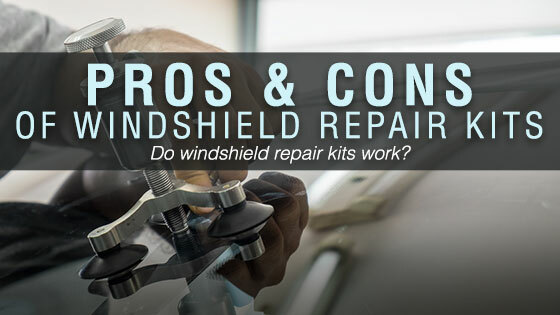 Let’s discuss the pros and cons of common windshield chip repair kits, shall we?